Emberizids range in size from petite blue-black grassquits (Volatinia jacarina) that weigh as little as 0.28 oz (8 g) to California towhees (Pipilo crissalis) that weigh up to 2 oz (60 g). Many species have subdued brown, beige, or gray colors, commonly with complex facial patterns of black, white, buff, and sometime yellow stripes. Males generally are somewhat larger than females. 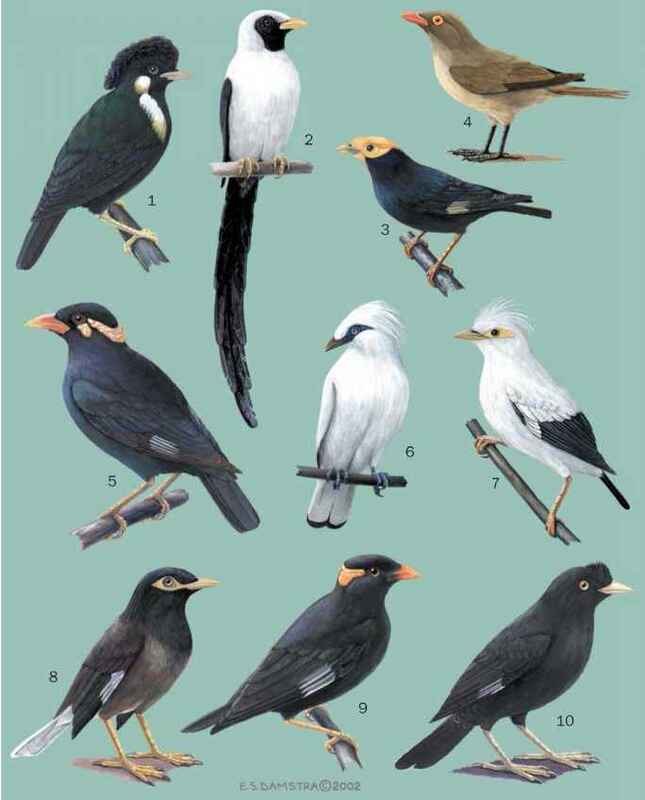 In many species the sexes are alike in plumage pattern, but in others males and females look strikingly different. Many buntings feed on the ground and have medium-sized legs with rather large feet; some hop on the ground whereas others run. Relatively short, conical bills are characteristic.